Are you considering upgrading to new windows at your La Crosse, Wisconsin, home? If so, then invest in the double hung replacement windows from Clear Choice Energy Solutions. Since 1998, we have strived to expertly install products that exceed customer expectations and truly improve both the beauty and performance of a home. And, our double hung windows are no exception. These classically designed windows are equipped with two vertically operable sashes that allow for excellent ventilation. However, their craftsmanship exceeds that of ordinary windows, with innovative details, such as sleek sight-line interlock systems, routed tilt latches, and clean balance corners. Yet, what makes these double hung windows truly spectacular is that they are backed by one of the best warranties in the business. Our signature vinyl windows are covered by a lifetime warranty, so no matter what happens to your windows, you can remain confident that they are well protected for years to come. Contact Clear Choice Energy Solutions Today! For more information on our double hung windows, contact Clear Choice Energy Solutions today. 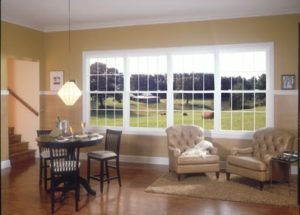 We are proud to be the clear choice among window companies serving the La Crosse, WI, area for all of your window needs.